Do you ship electronics with a rechargeable battery? If so, it is very likely that the battery is a lithium battery. Lithium batteries power most mobile devices and portable electronics. Due to recent safety concerns, the International Air Transport Association (IATA) has tightened the regulations on shipping these goods. 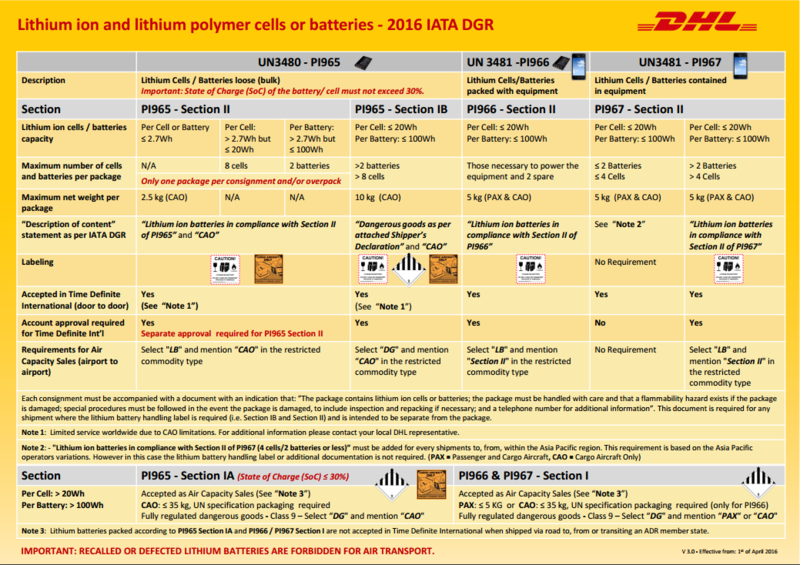 DHL has developed several guidance materials to ensure compliance with the new regulations. Preferred Shipping is here to help you navigate these changes and ship lithium batteries properly. When do I need a special DHL approval? Example #1: You do not need special approval. Example #2: You need dangerous goods approval. Who is responsible for the safe transportation of these goods? Any person, company or entity identified as the Shipper on the DHL Express shipment waybill is legally responsible to ensure 100% compliance with the IATA Dangerous Goods Regulations. 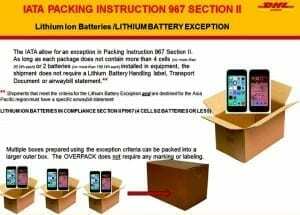 This responsibility persists even if the shipment containing the Lithium Batteries does not actually belong to or was made by the person, company or entity identified on the waybill. This is why it is so important for you to work with your Preferred Shipping sales representative or customer service team to ensure 100% compliance. We are happy to walk you through the process. 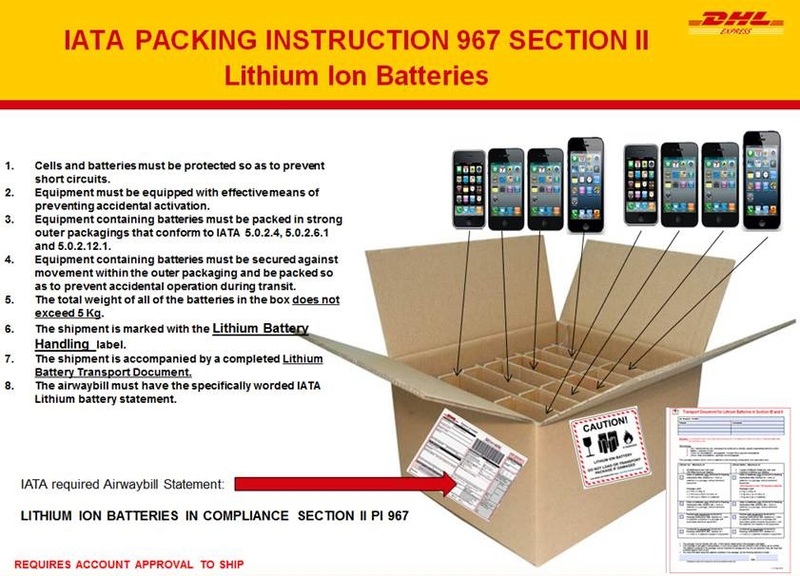 Will DHL accept defective or damaged batteries? Lithium Batteries that are known or suspected to be defective or damaged present a high safety risk to personnel and property, and are not permitted on aircraft under any circumstances. 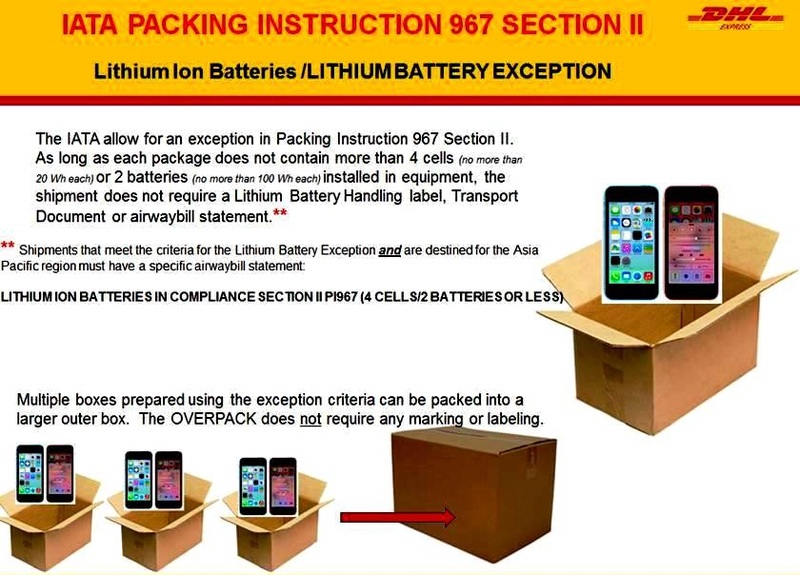 When it is known or suspected that a defective or damaged Lithium Battery is enclosed within a laptop, mobile phone or other device, the battery must be removed before DHL can accept the shipment. 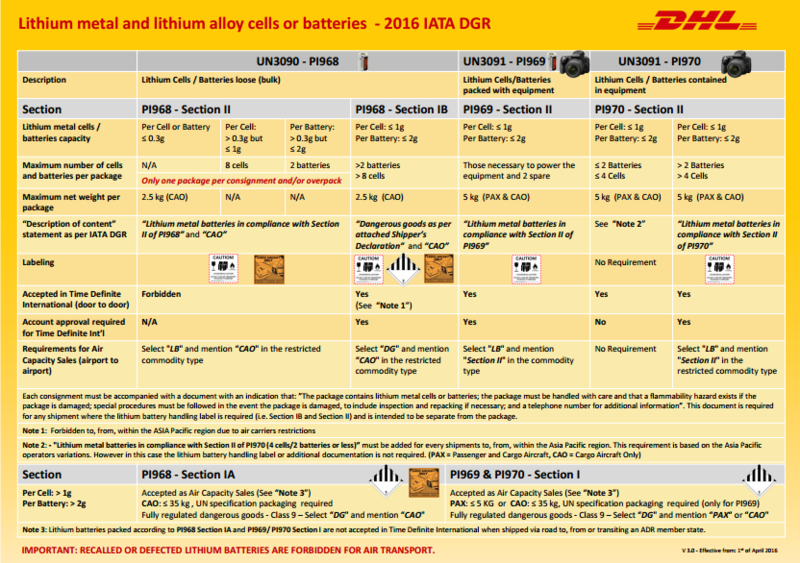 Download the complete guide from DHL here.